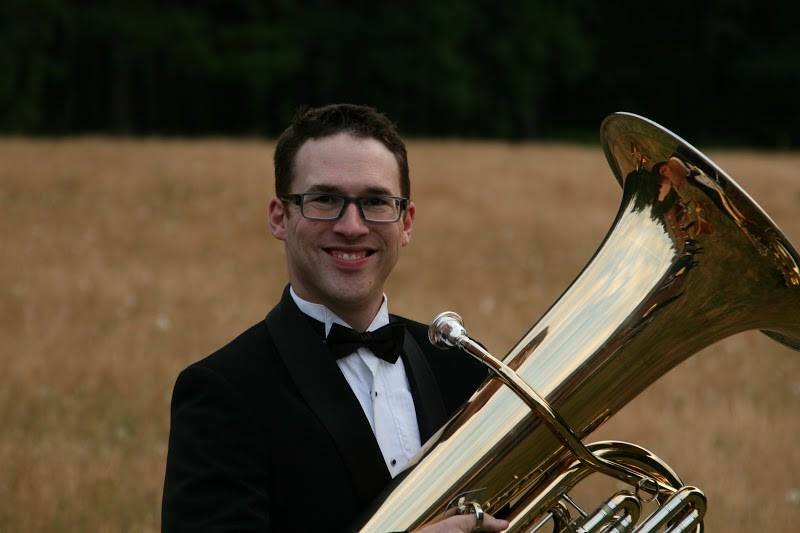 Isaac Andrew is an adjunct instructor of tuba and euphonium at Oregon State University. He also serves as director of bands at South Albany High School and Calapooia Middle School in Albany, Oregon, where he directs jazz, concert, and beginning band. Andrew holds a Bachelor of Music in tuba performance and music education from Azusa Pacific University and a Master of Music in tuba performance from California State University, Long Beach. Andrew freelanced on tuba extensively in the Los Angeles area, performing a variety of styles including classical, jazz, Mexican banda and bluegrass. He has conducted youth orchestras, jazz bands, and wind bands in the United States and abroad. He is currently a regular performer on tuba and bass in a variety of local ensembles including Opus 7 Jazz Combo, the Isaac Andrew Freaktet, area symphonies, and other instrumental groups. He is on the sub list for the Oregon Symphony, Eugene Symphony, Newport Symphony, and the Britt Festival. Isaac resides in Albany, Oregon with his wonderful wife and two children.